Spring is in the air. 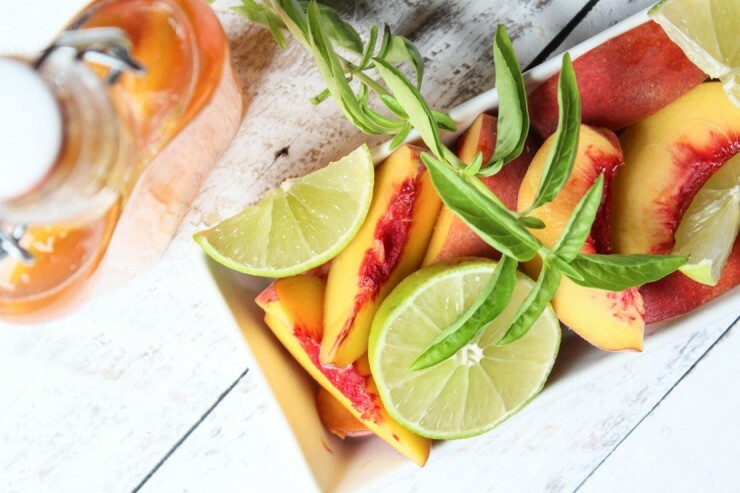 You know what that means– Fresh herbs, great market produce, festivals full of unique food items from every fruit you could imagine. Soon enough, one of my all-time favorite will be dropping from their trees– Peaches! 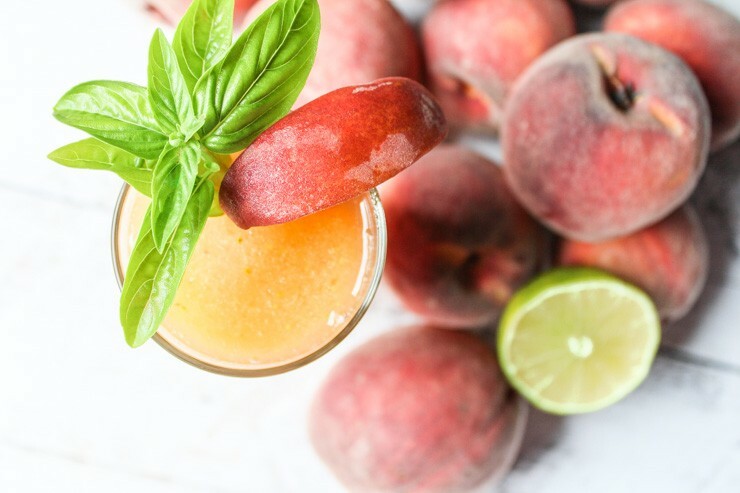 My take on the best way to use up some of those frozen peaches and bring in the new season with a boozy bang. 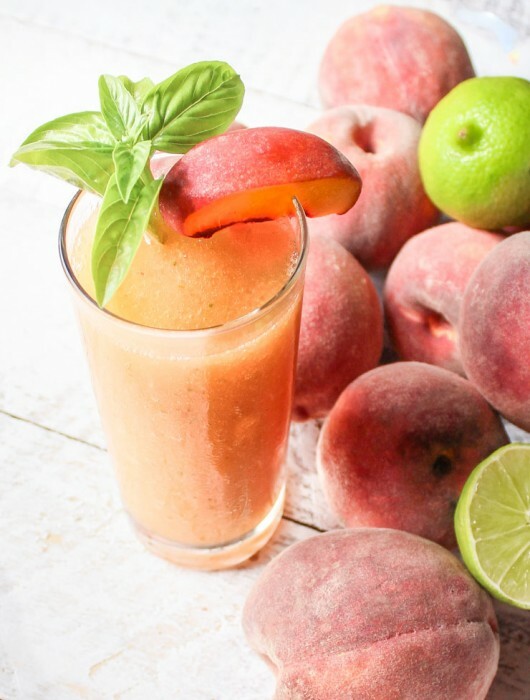 Sweet and citrus peach packed daiquiris with a touch of lime and the sharp success of basil — Frozen Peach Basil Daiquiris. 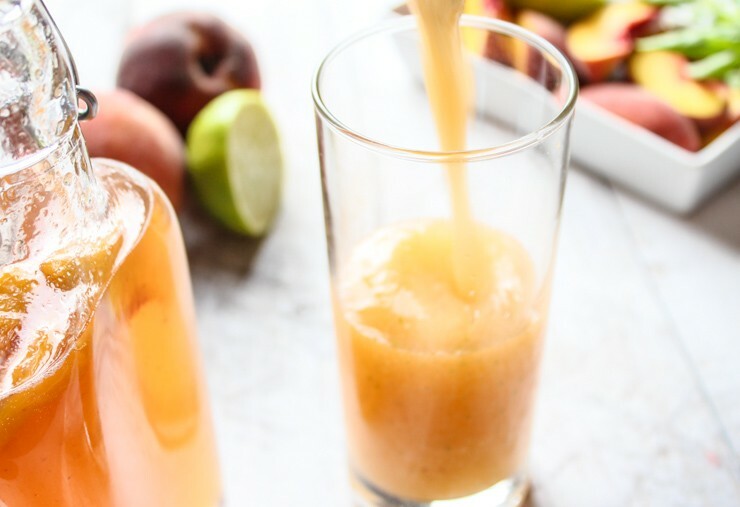 The frozen peaches really help with the final pizazz of this cold cocktail. 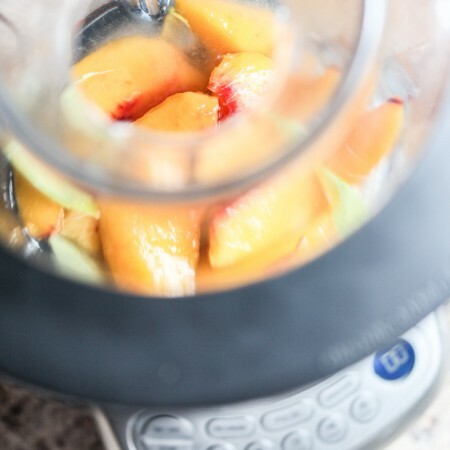 Alternatively, you could use fresh peaches and some *ghasp* ice. But, the way I see it, why water it down?? Just freeze some slices for a bit. A perfectly balanced, refreshing sip for the season. Enjoy, y’all! 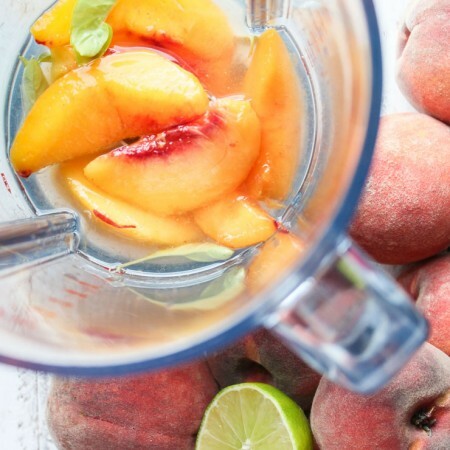 In a good blender, add frozen peaches, simple syrup, rum, lime juice and HALF of the basil. Add remaining basil and pulse until broken up. I like to leave this half in some larger pieces for texture and appearance sake. What’s your favorite first Spring / Summer frozen cocktail pick? That’s awesome! I’ve really enjoyed some of their stuff over the years. Was this mentioned there somewhere?? Pictures are fab. I love peaches and the peach truck will be here in 4 weeks. Can’t wait. I’m going to make these for a party. Oh….this looks like something I need to make tonight. Yuuummm. I mean… It def makes any evening just breeze by with a smile.